If you were in Paris last week, hopefully you were lucky enough to go to the opening of the French Paper Gallery in Paris. They showed off many of the artists and prints that they will be displaying in the coming months. If you attended the opening, you got a special treat. 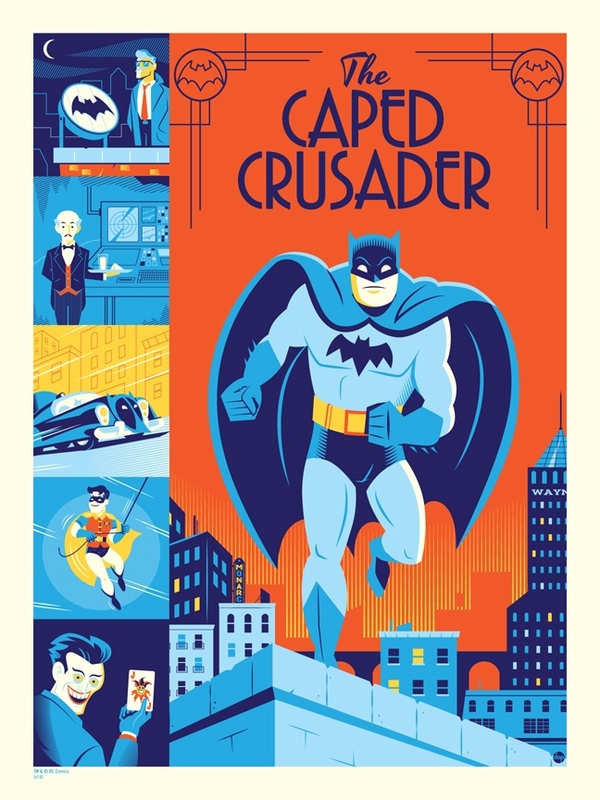 The launch party gave visitors the opportunity to get some of Dave Perillo’s Caped Crusaders, both in regular and variant versions. If you want a chance at owning some of Perillo’s art yourself, keep an eye out on the French Paper Art Club website. His Caped Crusader prints will be available online this Wednesday the 29th at a random time. These are official Warner Bros. and DC Comics prints, and both the variant and regular editions will be available. I love that retro style. Wish I had been in Paris on that day. Forget the Eiffel tower. I just want the prints.